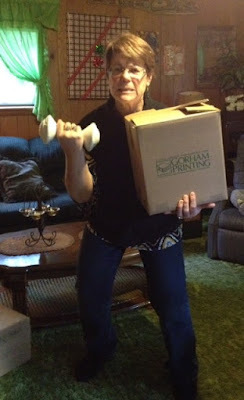 Cranky Fitness: Pack it in, Pack it out! Regular readers of this blog will remember that Rick, my travelling companion, tech guy, and "forever fiancé," died of congestive heart failure last April. 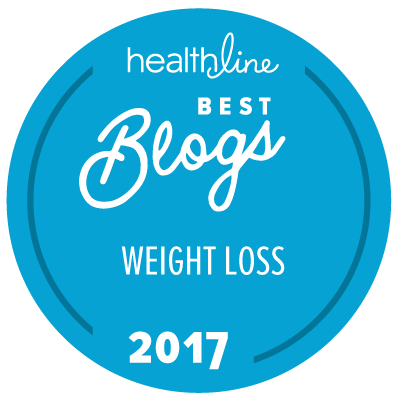 What followed was a horrid downhill spiraling of emotional and physical pain, and an eventual abandonment of any semblance of healthy food plan. Rick, as my Tech Guy, had been responsible for setting up my website, making my entire house a wifi zone, and doing the internal hyperlink formatting necessary for getting my eBooks into the “Premium” distribution catalogs. Without him, I didn’t know if I could even continue writing, and if I did, how would I get my books out there for others to read? Technically, the mystery books were finished last year. But last year, as Rick’s health deteriorated, he pushed me to put “Back from Obesity: My 252-pound Weight-loss Journey” on the front burner. It was a huge undertaking, and just one day before he went into the hospital for most of the final eight months of his life, we completed the book. But what about the mystery series? With the advent of computers, and with Rick’s help, I resurrected the dream, and completed book one in 2011, and book two in 2013. 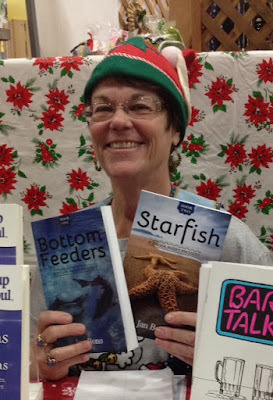 But try as I may, I couldn’t find an agent or publisher looking to get behind another cozy mystery series. “Cozies” are a specific type of mystery. They have an amateur sleuth who works with the police department to solve the crime. They take place in a small town. There’s a quirky cast of characters, and lots of humor. What they don’t have is graphic violence or blatant obscene language. In other words, they’re like “Murder She Wrote,” only on paper. But this time, death intervened, and I just didn’t know if I could, or should, power through it all by myself. In July, I cleared the deck of every other iron I had in the fire and gave myself the gift of one full month to either “crap, or get off the pot.” I was either going to take these books through one final edit and get them to the printer, or I was going to put the file away forever, and renege on my promise to Rick. As you can see by these photos, I got the job done. Amazingly. 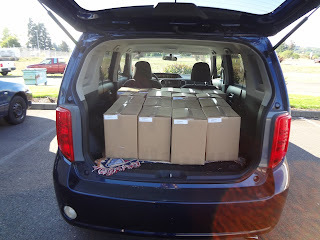 And now I’m hard at work, and working much too hard, for 10 weekends in a row, to haul the books out of the house, load my vehicle, haul the books and display stands in and out of the bazaar venues, set up, take down, and pitch them to eager, and maybe not-so-eager, readers. Marketing like this ain’t for sissies, that’s for sure! It’s been a tough year, and I’m tougher for it. 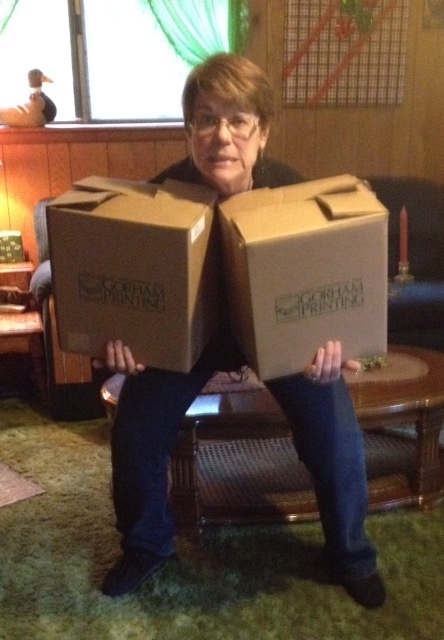 I’m even building back my muscle strength by carrying all these boxes of books up and down stairs. And I’m eating better and getting my life back on track in baby-step increments. So.... If you’ve read this far, and you’re interested in purchasing either/or Back from Obesity, first two books in the Sylvia Avery Mystery Series, or all three in paperback form, I will promise to get them into the mail the next day if you order by December 10. 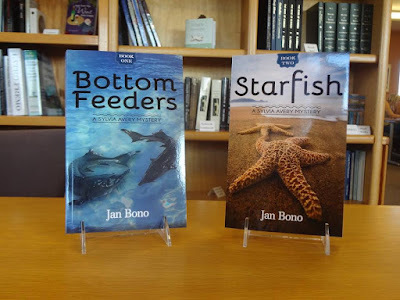 You can go to my website for more details, www.JanBonoBooks.com, and order them there. 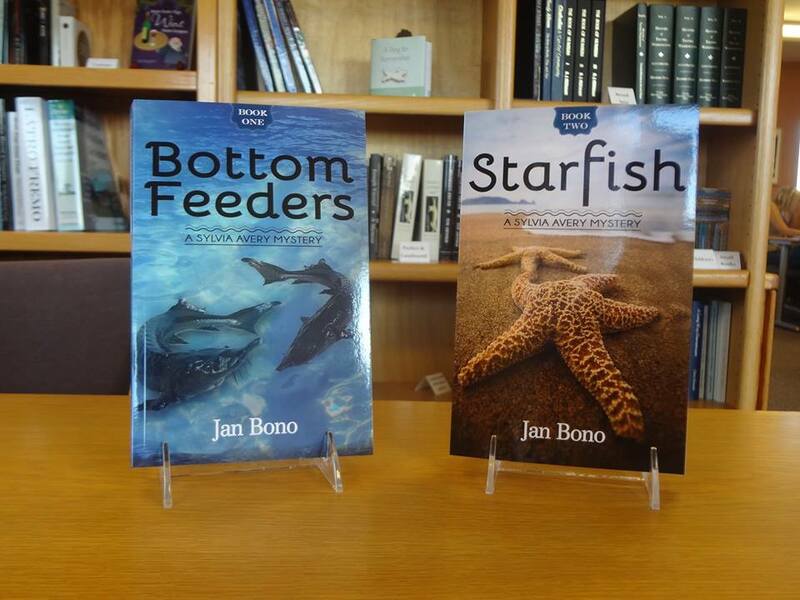 OR, if you message me directly through my JanBonoBooks Facebook page, I’ll give you free shipping just for being a loyal Cranky Fitness Reader! Meanwhile, I’ve invested in a hand truck, but wouldn’t you know it, the darn thing doesn’t navigate the stairs! Great job! Hope the books are selling well. The boxes in that van are packed in there so uniformly. It pleases me greatly. Love the ATTITUDE. That is how I feel after 10 days of soup. Super job, that sounds like it was really tough, but you still did it! What I strong spirit you have! Congratulations, and I hope the sales go well! Congratulations Jan! Best of luck with your book sales!